The information in this survey was collected from distillers and state alcohol control boards; it reflects the most current information available at the time of writing. Due to the hard work of motivated distillers, distillers guilds and state representatives these laws are continuing to be debated and modified to meet the needs and interests of all stakeholders in their locality. If any of these laws or details have changed, please contact eric@distilling.com with the correction or update. 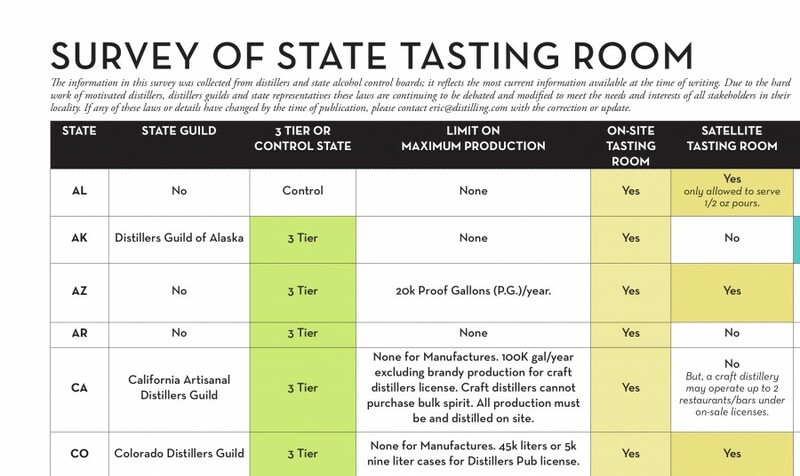 To see a pdf comparing tasting room laws in all 50 states, click on the link below.